As an indexer, proofreader, and librarian, I am fortunate to be surrounded by books and words. I started indexing books after having previously worked as a cataloger for various libraries in the Twin Cities metro area. The logic and orderliness involved in indexing, and the importance of appropriate word choice and succinct phrasing, satisfy both my organizational and creative sides. From the beginning of my work as an indexer, I also provided proofreading services informally, emailing the editor about discrepancies I found in the texts I was indexing. Because of this I began receiving proofreading jobs officially, as well as combination proofreading/indexing projects. The detailed work of identifying typos, factual errors, ambiguous phrasing, and inconsistencies in formatting is second nature, and enjoyable to me. I received my undergraduate English degree and Finnish language minor from the University of Minnesota, a Master of Library Science degree from St. Catherine University, and indexing certification from the University of California–Berkeley Extension. 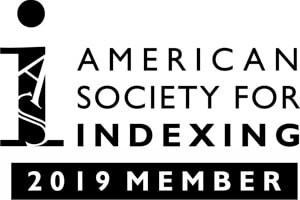 I am a current member of the American Society for Indexing. My indexing and proofreading experience includes subjects such as Alternative and Complementary Medicine, Arts and Crafts, Cookbooks, Cultural Studies, Health and Wellness, History, Native American History, Home Improvement, Nutrition and Diet, and Sports and Recreation (including cycling, running, strength training, and triathlon). I have indexed a bilingual text in Ojibwe and English, as well as a Minnesota history curriculum textbook. However, all subject matter is welcomed and considered. When I’m not indexing, proofreading, or working as a librarian in the Hennepin County Library system, I like to be out running or reading a book in the sun.